Grand Ch Gelderland Rumour Has It E.T. 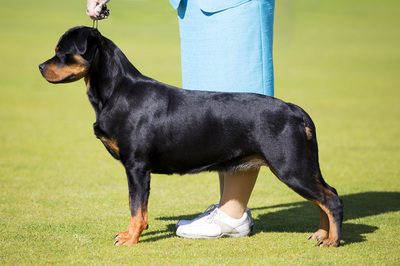 All puppies will be wormed, vaccinated, vet checked and DNA profiled & Parentage guaranteed, price $2500.00 - on Limited Register - not for Showing & Breeding purposes and ineligible for Export. All my companion/domestic pets are sold on this register. Limited registration doesn't mean we are selling a lesser quality puppy. 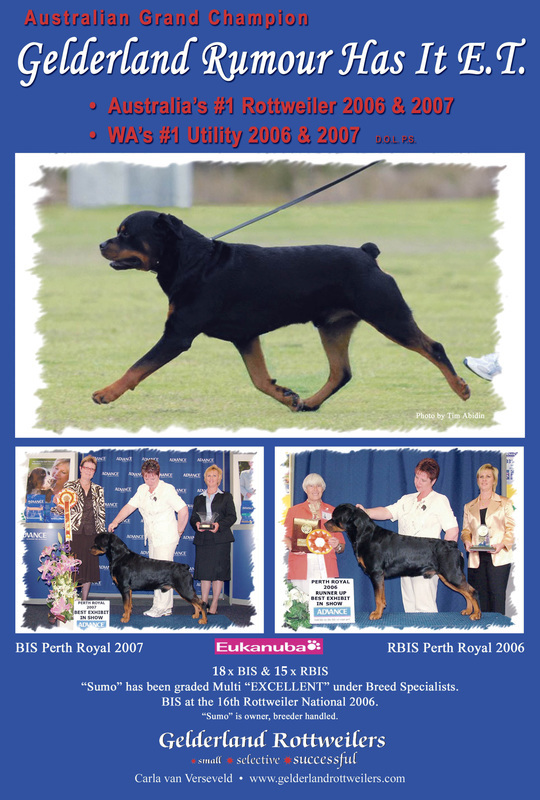 Includes puppy file with written guarantee, feeding and general care, stages of socialization, copies of health certificates from parents, 3 generation pictorial pedigree etc. Plus $30.00 to transfer puppy's papers and $9.00 microchip transfer into your name. When the puppy is 6 weeks old, the remaining due balance must be paid in full. At 7 – 7 1/2 weeks of age we decide which homes will be the best match for each individual puppy according to the answers of the questionnaire about you, your family, home/work situation and also watching the puppies with the prospective owners when they come and visit. With our experience, we feel we are most qualified to select the puppy for its new home. It is in the puppies best interest and everyone concerned! We are with the puppies from birth and know their personalities and temperaments better than anyone else. We’ve been selecting puppies this way for many years now and have an excellent success rate. This would also be the time to return the completed Sales Contract to us. At 8 weeks of age the puppy is available to go to his new home. At this time, Dogs West registration papers, vaccination record and the Gelderland puppy file with general information on raising your puppy will be provided. 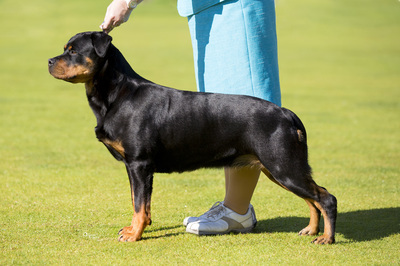 We offer lifetime breeder support and are available to you 24/7. We care about where our puppies go and would like to be updated on a regular basis on their progress. We can help with any questions or concerns that may arise. Our goal has always been to have a long term happy relationship with all our puppy buyers ! 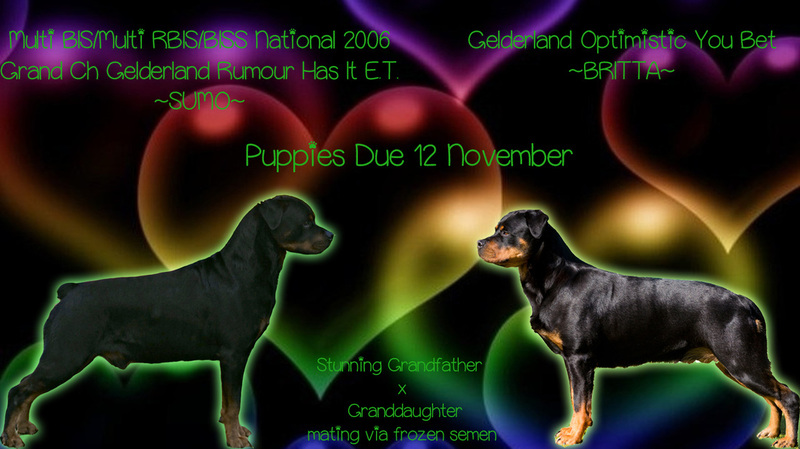 Click here for more information in regards to our puppies and view pictures of puppies bred by Gelderland ! !